Your society has been very active looking at the many new applications for developments in the local area. Below are just a few that we have closely looked at with local residents. There were over 300 objections to the application by Dominos Pizza to convert the Old Bank restaurant to a pizza takeaway and delivery shop. Our main reasons for objecting were the poor use of a prime location which should be a retail unit. There were also concerns about the parking and noise generated by motorbikes which would serve the shop during peak hours, and changes to the signage that could be out of keeping with the area. We were pleased that the council officers rejected this application and hope that the site will be back in use as a restaurant or retail unit soon. Two applications to convert retail units (A1) into offices (A2). Although this would bring empty shops into use, the council has policies to protect retail units in core shopping areas and conversion to offices would have a detrimental impact on this shopping area. We have therefore asked the council to reject the change of use. Dartmouth Road has far too many empty shops. 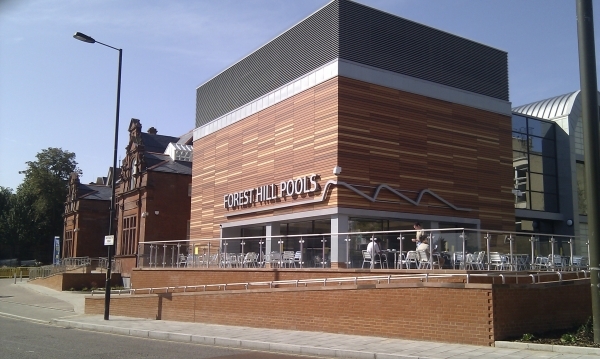 We hope that the opening of the pools next year will start to see a revitalisation of this important part of the town centre. Many members are concerned about the impact of empty shops which is why we successfully bid for funding to produce bright images for some of these empty shops. We are currently working with Horniman Museum on a range of images for shop fronts that will showcase the museum in the high street. A previous application for a six-storey building on this site was withdrawn by the applicant after concerns from neighbours. A new application was submitted for a three and four storey building on this site. This would include seven live/work units built by Jeff Lowe, who has a proven track record of delivering high quality live/work units in Havelock Walk and in other locations in Lewisham. We believe this is a good use of the site and have written in support of this development. 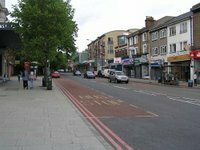 It is rare for the Society to positively support applications but we consider that this will provide an additional hub for live/work in Forest Hill and will help develop Forest Hill as an artistic area. The Society objected to plans to demolish the gym replacing it with seven flats, as this provided poor quality living accommodation with a lack of natural light and windows facing onto the pavement. If you have concerns about planning applications in the local area please contact us at planning@foresthillsociety.com. Dominos have appealled the descision!!! !